Hitesh A Vyas Associate Professor, Dept. of Basic Principles, Institute of Post Graduate Teaching and Research in Ayurveda, Jamnagar, Gujarat, INDIA. Mahesh K Vyas Professor & HOD, All India Institute of Ayurveda, New Delhi, INDIA. Now a days, the world is full of glamour and glory. The concept of beauty is gaining more and more attention globally, which is defined on some factors, amongst them hair is an important one. Hair is a mirror of healthy or unhealthy state of the body. Ayurvedic approach, falling of hair is coined as Khalitya. In Ayurvedic texts management of Khalitya has been described in the form of Nasya, Shiroabhyanga, Shirolepa and Rasayana therapy. The main aim of this paper is to explain the Nidana of Khalitya in present era and treat the disease too. DHOKE, Sujata; VYAS, Hitesh A; VYAS, Mahesh K. REVIEW ON ETIOPATHOGENESIS AND ROLE OF LIFESTYLE MODIFICATION IN THE MANAGEMENT OF KHALITYA (HAIRFALL). 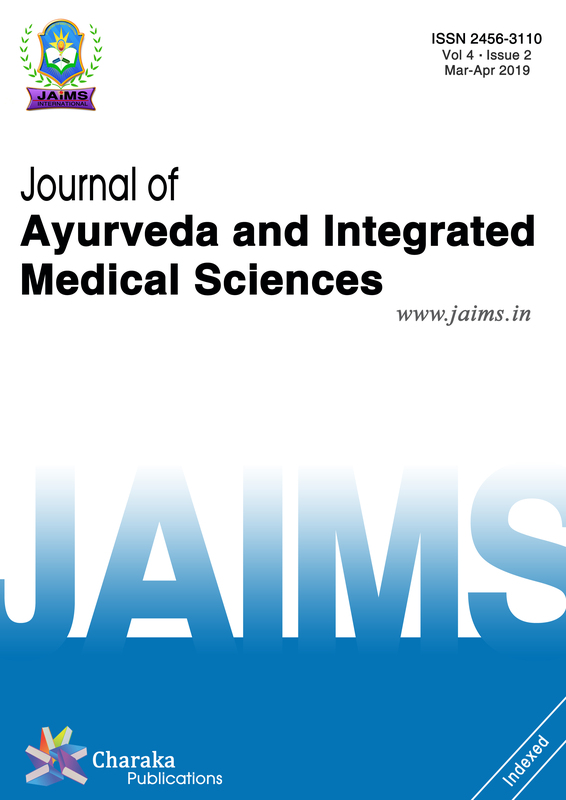 Journal of Ayurveda and Integrated Medical Sciences (ISSN 2456-3110), http://www.jaims.in/index.php/jaims/pages/view/Citation, v. 3, n. 5, p. 168 - 173, nov. 2018. ISSN 2456-3110. Available at: <https://jaims.in/index.php/jaims/article/view/686>. Date accessed: 25 apr. 2019. doi: https://doi.org/10.21760/jaims.v3i5.13838.